At Harveys Mower & Chainsaw Centre we strive to give you the right advice and sell you the equipment to meet your needs. 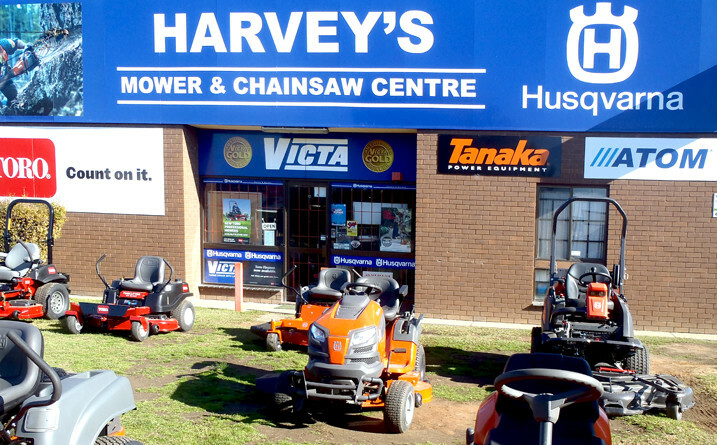 Harveys Mowers has been operating for over 25 years in Wagga Wagga and we service a wide range of clients from farmers through to the home gardener,councils and commercial users. We are located at 48 Pearson street so come in and view our quality products at competitive prices,backed by our fully equipped workshop.